From left: Callum Falconer, CEO of Dundeecom; Charles Hammond, group CEO of Forth Ports; and Bill Cattanach, head of supply chain of the Oil and Gas Authority. Picture: Alan Richardson. Companies including engineering giant ABB, Forth Ports and John Lawrie Group have launched Forth and Tay Decommissioning (FTD) to position the city as the UK hub for oil and gas decommissioning. More than 300 North Sea oil fields are expected to cease production over the next 15 years and some 100 offshore platforms and 5,700 kilometres of oil and gas pipelines are forecast to be decommissioned or reused over the next decade alone on the UK Continental Shelf. The potential for the creation of a new virtual deep water port in the Firth of Forth capable of accommodating the largest decommissioning projects is now also being explored with a feasibility study commissioned and being carried out by Bureau Veritas. Other founding partners in the alliance include Augean North Sea Services, Offshore Decommissioning Services, and Well-Safe Solutions. 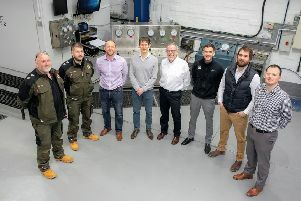 COES Caledonian, a subsidiary of a Chinese engineering firm, is also involved after it opened a base on Dundee’s waterfront late last year in a move aimed at winning work in the North Sea decommissioning sector. 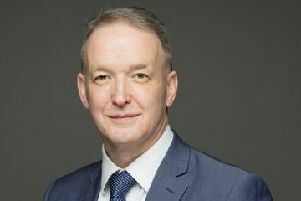 Callum Falconer, chief executive of Dundeecom that is a public-private partnership set up to capitalise on decommissioning work, said the alliance was a “natural evolution” of the organisation. “Dundeecom was started two years ago with the vision of creating a decommissioning hub in Dundee. This vision is now being realised,” he said. Supporting partners in the alliance include Bureau Veritas, DC Thomson, Dundee City Council, OM Heavy Lift Robertson Recycling and Texo Group.